Telecom operators are showering attractive data plans on users so that they can enjoy the ongoing Indian Premier League cricket matches on their smartphones. 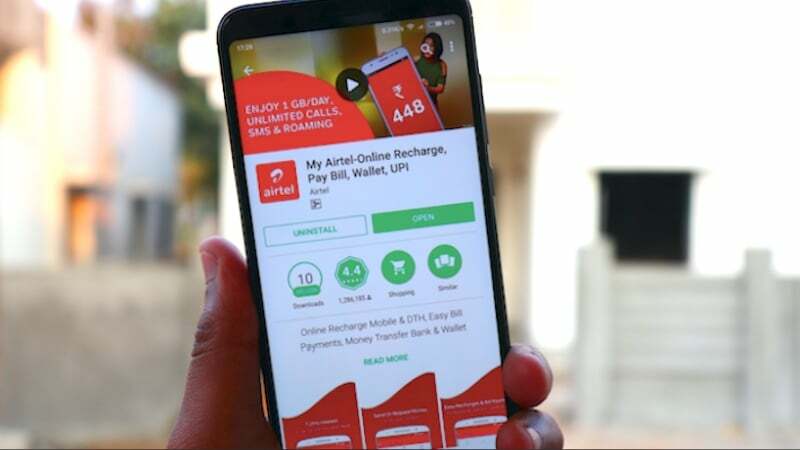 Bharti Airtel has now come up with a new prepaid plan of Rs 499 which offers a whopping 164GB of high-speed 4G data for the validity period. Alongside the data benefit, the plan also gives unlimited voice calls and 100 SMS per day. This new plan is in-line with the competitive plans introduced by Reliance Jio and BSNL for its users to enjoy the live streaming of IPL 2018. Jio has come up with a Rs 251 data pack, while BSNL introduced a Rs 248 data pack for prepaid users. The Rs 499 prepaid plan from Bharti Airtel offers 2GB data per day and that too high-speed 4G data along with unlimited voice calls (even on roaming), 100 SMS per day for 82 days. The voice calls are unlimited without any FUP limit per day or month, but the SMSs per day is capped at 100 per day. This plan from Airtel goes against Jio’s Rs 498 prepaid tariff plan that also offers 2GB data per day, unlimited voice calls without any FUP limit and 100 SMS per day for 91 days. Jio’s plan gives 182GB of data as compared to Airtel’s 164GB of data benefit. However, the best part is Airtel looking to compete with Reliance Jio by introducing such plans. The lesser validity might not be a worry for many users, but the segmented availability of the plan is a worry for users. Yes, this plan from Airtel is valid for only select prepaid users as always, but the company might make it an open market plan very soon to stay in competition with Jio. Bharti Airtel is under severe pressure in recent times, thanks to Reliance Jio’s aggressive tariff plans and new schemes. Airtel is also offering free Live TV streaming of IPL 2018 matches on Airtel TV application (redirects to Hotstar), and this plan will be a boon for users who’re relying on the Airtel network to watch IPL 2018 matches live. Airtel is also expected to revise several of its prepaid plans in the next coming days. Reliance Jio has introduced a new Rs 251 data pack which offers 2GB data per day for 51 days, while BSNL’s Rs 248 pack gives 3GB data per day for 51 days. Unoptimised network good for nothing. Always togling between 4g h+ h 3g ?. Not reliable network. 3g network is useless.. Both call and internet doesnot work. In fact need to use 2g for calls and force handset to lte mode for data.. There isp no quality in network customer care and retention. Again 82 days. RIP airtel.